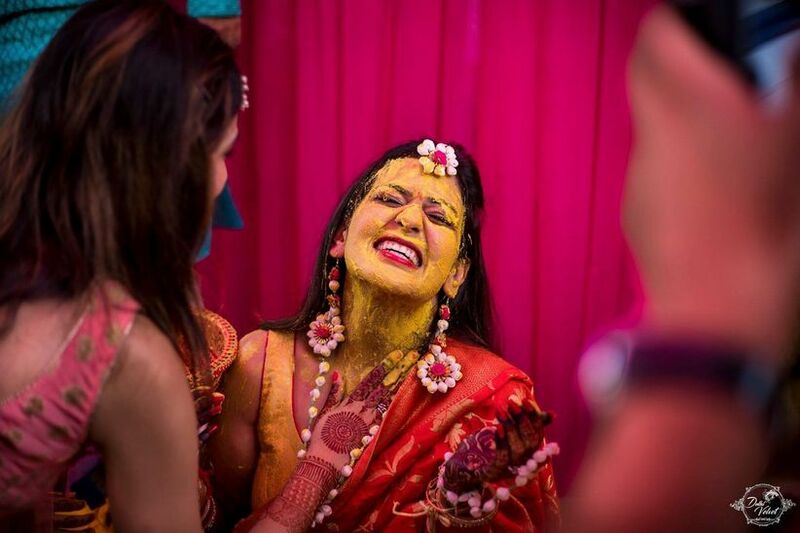 7 Trending Haldi Function Jewellery Designs We Spotted on Real Brides | Wedding Tips ARE YOU A VENDOR? Florals are no more the only Haldi function jewellery option in the market. Check out these stunning options and stay on trend! Oh! 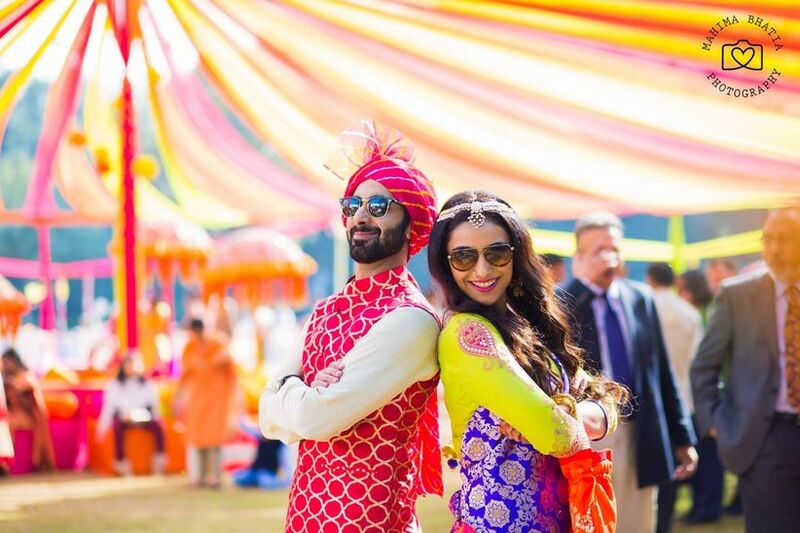 The pickle and fun, the bright and vivid colours, the music and Masti and of course the perfect opportunity for a fashion parade, the Haldi ceremony encapsulates all the flavours of a Big Fat Indian Wedding. It poses as a platform for all the fashion divas to experiment with their looks and adorn the trendiest of all trends. 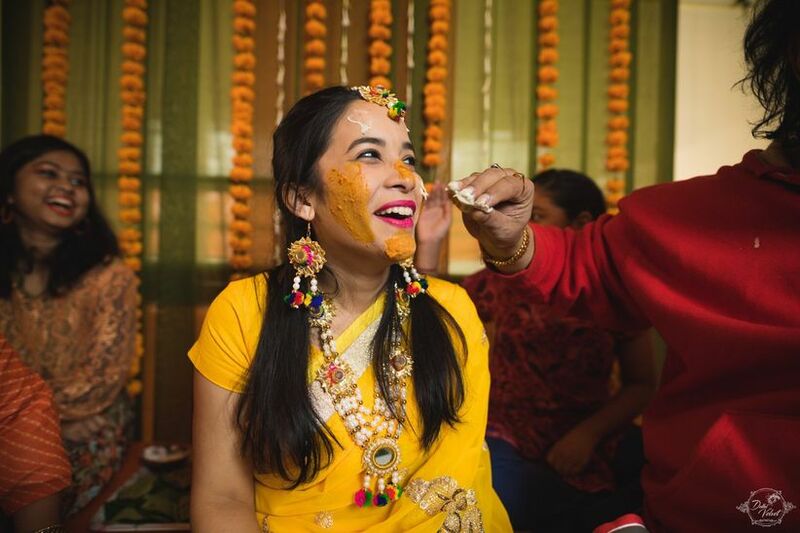 So, for all the brides and their bridesmaids, we have curated a list of creative, interesting and simply gorgeous Haldi function jewellery trends to inspire you this wedding season. Pearls and pom poms are a flawless blend of elegance with vibrancy. Combining these two high spirited elements to create jewellery pieces is truly a fusion worthy of a millennial bride, reflecting her trendy and traditional aura. Complete the piece with a base of Gota to create floral motifs on which the pom poms are embedded. The regal touch of pearl strings makes this style worthy of being adorned by the divine bride. Not too big on the OTT statement Haldi function jewellery, yet still want a dash of sparkle to shine on your big day? Then this trinket tiara is the one for you. The whole idea of adorning a tiara makes you feel like the princess you really are, especially at the time of your wedding. The shining elements of the embellishments encrusted on the tiara make sure that you leave a little sparkle wherever you go. You can never go wrong with creating a traditional look with mirrors. Mirror work has been a part of our traditional Indian attire for as long as we can remember and has rightfully earned its name in a significant list of traditional Indian elements. 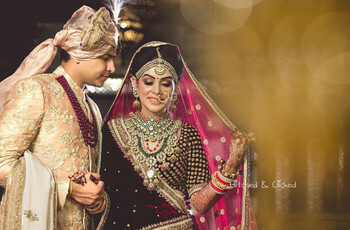 However, bringing mirrors to jewellery is just the right twist in traditions that the modern day bride seeks. 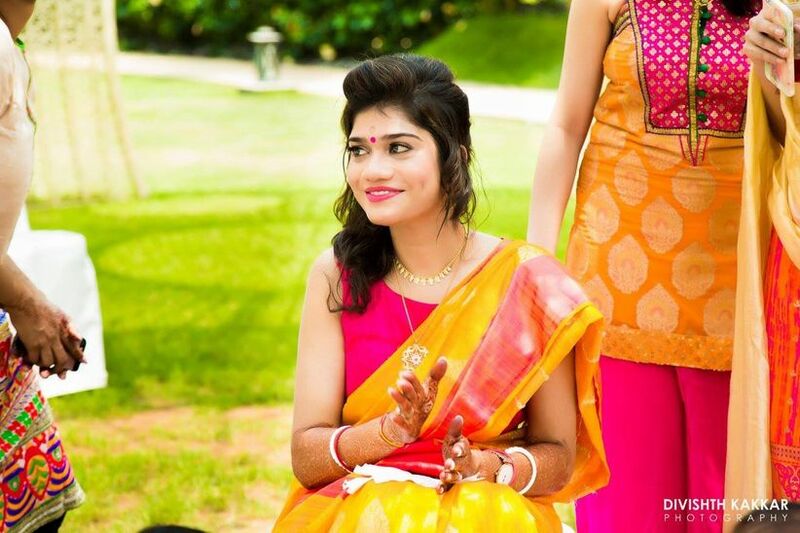 Adorn this style of Haldi function jewellery for truly a one-of-a-kind look. Image Courtesy: Shades Photography by Ashwin M.
Like the sun shining bright, metallic fabric with different textures make Gota the highlight of any piece they are a part of. The glistening gold and shimmering silver hues make it an apt choice to be adorned as Haldi function jewellery to match the spirit of the day. Get completely unique and custom pieces by incorporating fabric in the Gota jewellery that matches your outfit. 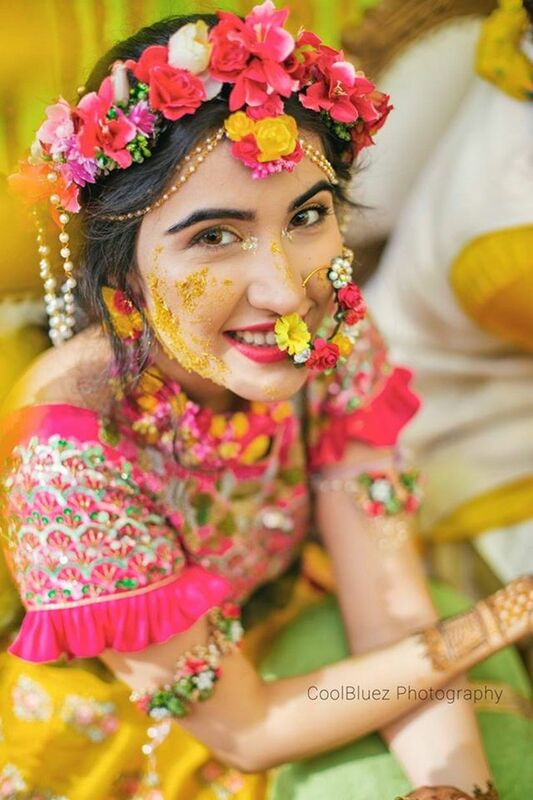 Floral jewellery for the Mehndi and Haldi functions have been all the rage over the past few years and have made their permanent position in the list of inspiration for all the brides-to-be. Taking the spotlight over the real flowers are faux flowers. ‘Cause they look just as pretty without the hassle of TLC. 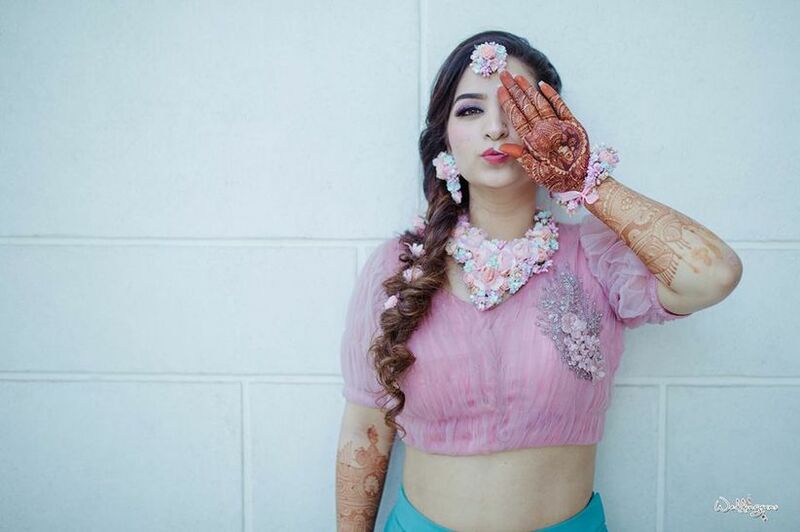 Another perk of faux flowers is that you can possibly have them in any colour under the sun to match your outfit and the theme of your Haldi function. Well, you will miss out on the fragrance of fresh flowers though! The plethora of different fabrics that the market has to offer, why keep them constrained only to your ensemble? Bring this bundle of endless possibilities in your Haldi function jewellery as well. With an array of different colours and textures, you can get customised fabric jewellery in various motifs to match the fabric style or colour of the ensemble you adorn. Not just Juttis, you can now use the same fabrics for your jewellery as well to make the perfect match! To all the millennial brides, that have a minimal taste with a desire for elegance, we have not forgotten about you! 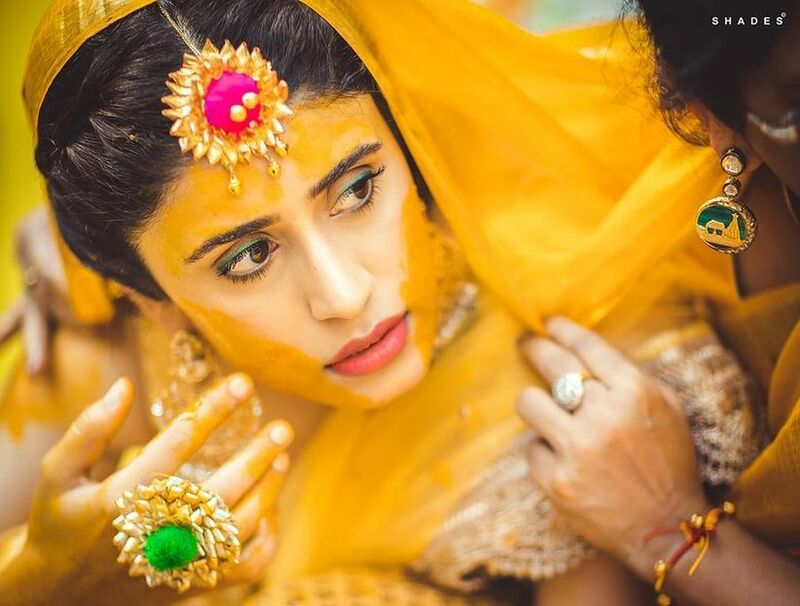 Sometimes it's the simplest of things that add the perfect finishing touches to a bride’s look and when it comes to Haldi function jewellery, dainty pieces made with nothing but gold, do just that. 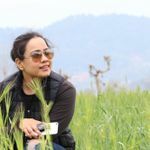 While the gold jewellery is auspicious and traditional, the choice of minimal design adds a dash of a millennial trend. Don’t miss out on the opportunity to look absolutely fabulous with these completely out-of-the-box Haldi function jewellery designs. From subtle and minimal to dramatic and opulent, we have something to inspire every bride. 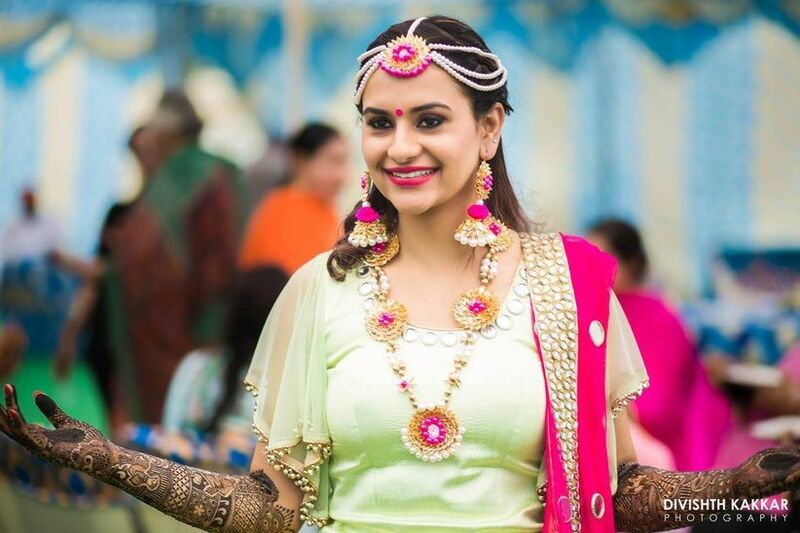 You can team up with your bridesmaids and get customised Haldi function jewellery designs to match your outfits or even coordinate with the theme of the function or the wedding. So, put your thinking tiaras on and lead with your imagination! Still searching for more? 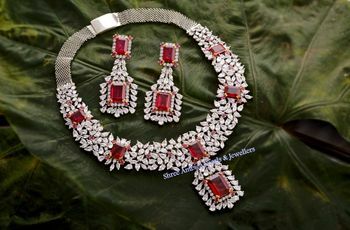 Check out some fabulous bridal jewellery vendors and explore the plethora of designs they have to offer.